The Departments of Homeland Security and Health and Human Services are considering regulations that could terminate a decades-old and court-approved settlement, known as the Flores Settlement Agreement. Flores protects immigrant children in government custody by regulating the length and conditions of detention. We could be at the brink of losing a critical check against the needless jailing and abuse of immigrant children. If this new rule is approved and Flores is terminated, the government could expand its jailing of families and promote the prolonged detention of thousands of children. Detention centers are no place for children – particularly the toddlers and other young children who come to the United States with their families, often fleeing persecution, assault, or torture in their home countries. Medical experts – including whistleblowers working for DHS – have criticized the government’s proposed expansion of family detention, highlighting the inadequate access to medical and mental health care and lack of legal assistance and basic childcare. Evidence also shows that detention can have severe negative effects on children’s development. Jailing children can cause severe, irreparable, and lifelong psychological harm. Scientific and medical experts, like the American Academy of Pediatrics, have issued numerous warnings about the harmful impact of jailing families and have emphatically stated that children should never be detained. 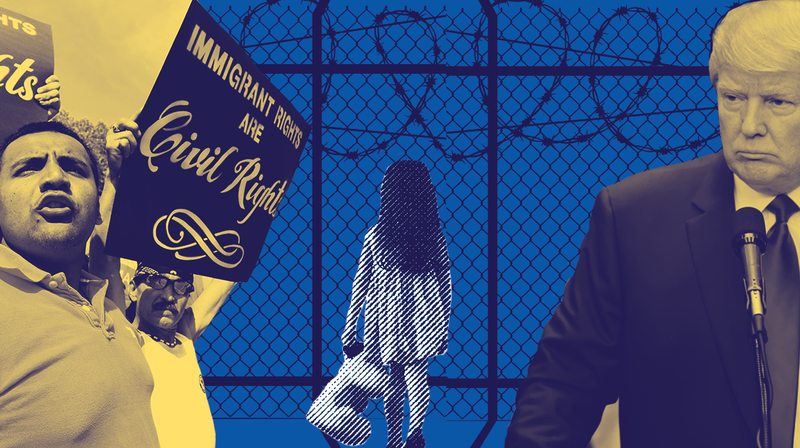 President Trump’s anti-immigrant agenda has been a hallmark of his administration, resulting in widespread abuses of immigrants in detention facilities, ramped-up deportations, record-low refugee admissions, and thousands of immigrant families being separated. It’s clear that Trump is trying to strip away every last protection for immigrants – including these protections that are critical to safeguarding vulnerable children. There are reports of rampant physical, verbal, and sexual abuses of children in custody, as well as medical neglect, unlawful restraint, forcible injection of psychiatric medication, and cruel, needless rules that can cause significant long-term harm. Pediatricians warn that even short-term jailing can cause children permanent psychological damage. Revoking Flores would only exacerbate abuses. If the proposed regulations go into effect, Homeland Security would self-inspect detention facilities. This is especially problematic given that department’s horrific track record of failing to inspect or monitor jails with repeated allegations of sexual and physical abuse and even deaths. The proposed regulations also threaten to leave kids in HHS facilities for longer periods of time, when the law requires that they be released to appropriate homes in the community "promptly." The Trump administration is trying to find any possible way to harm immigrant children. International condemnation, public outrage, and a rebuke from a federal judge have forced the administration into a corner on its horrific family separation policy. Now Trump is making his next move, so we can’t let up the pressure for even a moment. We have until November 6 to submit our comments to Homeland Security and HHS. Speak up now: The government must not undermine Flores’ protections for immigrant children and families. The Flores Settlement Agreement provides crucial protections for immigrant children in U.S. government custody by regulating the length and conditions of detention. Physical, sexual, and verbal abuse has occurred in detention centers, and terminating Flores would not only subject children to lifelong trauma, but demolish any shred of accountability for deportation agents. Families should be free and together. We demand you resoundingly reject this proposal. The proposed rule purports to terminate the Flores Settlement Agreement, allowing the expansion of family detention centers, and resulting in more children being detained for longer periods of time in facilities that are totally inappropriate for them. The proposed rule would eliminate hard-fought legal protections for their safety. Detention centers – often rife with abuse – are no place for children, who can suffer lifelong psychological harm from even short-term detention. In addition, the proposed rule would institute new procedures for kids who are alone in government care, which threaten to prolong their time in custody. But children should be placed as soon as possible in homes with family or community members, not kept in shelters or government care for long periods. The evidence shows that any period of custody can be harmful for children, and any regulations should facilitate the prompt release of kids, not seek to extend their detention. Our government must keep Flores in place and protect immigrant children. Losing Flores would mean losing a critical check against the needless jailing and abuse of immigrant children.